ST. GEORGE – All are invited to the third annual “Glen Canyon Bat Festival” taking place July 21 from 5-10 p.m. MST (6-11 p.m. MDT) at the Lake Powell Resort where festivities include informational booths, kid-friendly crafts and activities, guest presentations and bat discovery walks. This free event will take place at the Lake Powell Resort Wahweap Marina at 100 Wahweap Blvd. in Page, Arizona, hosted by the National Park Service and the Glen Canyon Natural History Association. It will highlight the role the public can play in bat conservation efforts while celebrating the ecological services these mammals provide, such as pest control, seed dispersal and pollination, to name just a few. 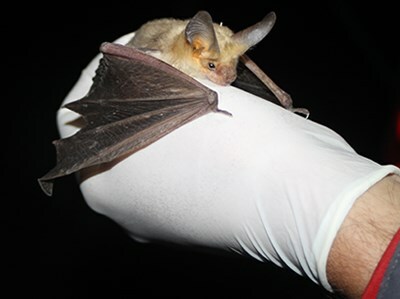 Conservation efforts are important, as North American bat populations face unprecedented threats from habitat loss, disease, wind energy development and misunderstanding. A presentation by guest speaker Jason Corbett, director of the subterranean program from Bat Conservation International, will address the potential impact that “white-nose syndrome,” an emergent disease caused by a fungus, will have on cave-roosting bat species throughout the southwestern portion of the country. Ashley Xu, an intern with the Student Conservation Association NPS Academy, will delve into the inspiration behind her studies and provide an engaging introductory presentation for participants new to the world of bats. “Recent bat monitoring efforts have enabled park scientists and the public to better understand occurrence, distribution, and abundance of bats within the park and contribute to long-term continental bat monitoring efforts, or the North American Bat Monitoring Program,” Lonnie Pilkington, National Parks Service Natural Resources program manager at Glen Canyon said. An easy, one-mile guided “bat discovery” walk from the Lake Powell Resort to Lake Powell will be held 7:20 p.m., with a second walk at 9 p.m., where participants will have the opportunity to use some of the available technology to identify bat species by sound using iPads and other wildlife monitoring devices. Where: Lake Powell Resort Wahweap Marina, 100 Wahweap Blvd., Page, Arizona.